Join Karios, Sarah, and Kasuko in their Journey to defeat the newly created God of Time and Space! As their Journey progresses, they will meet new teammates! But will their newfound strength be enough to take on this god?! Will they win? 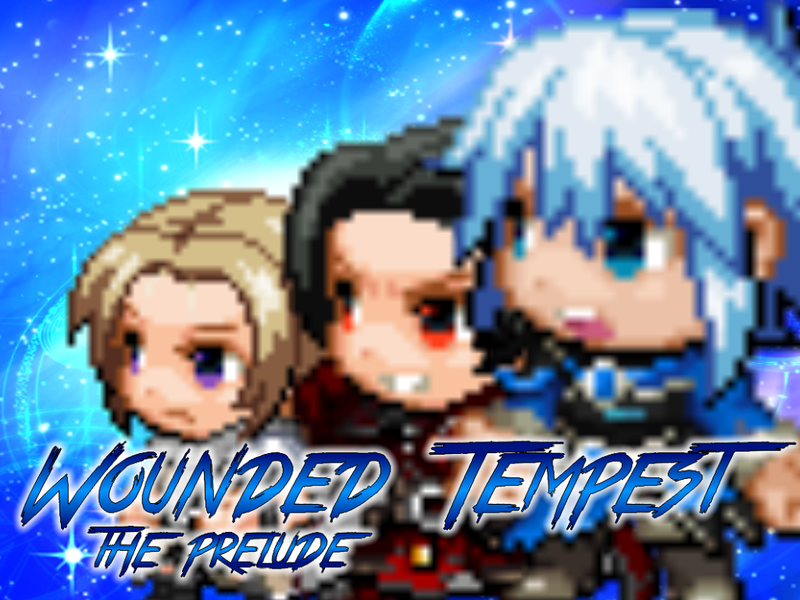 or will they fail like every other "Hero"
To promote Wounded Tempest - The Prelude and grow its popularity (top games), use the embed code provided on your homepage, blog, forums and elsewhere you desire. Or try our widget. Finally! The open Alpha for Wounded Tempest - Prelude has been released to everyone!